I absolutely love Sushi. Unfortunately, since we’ve moved to Houston, we’ve only been to one sushi place. 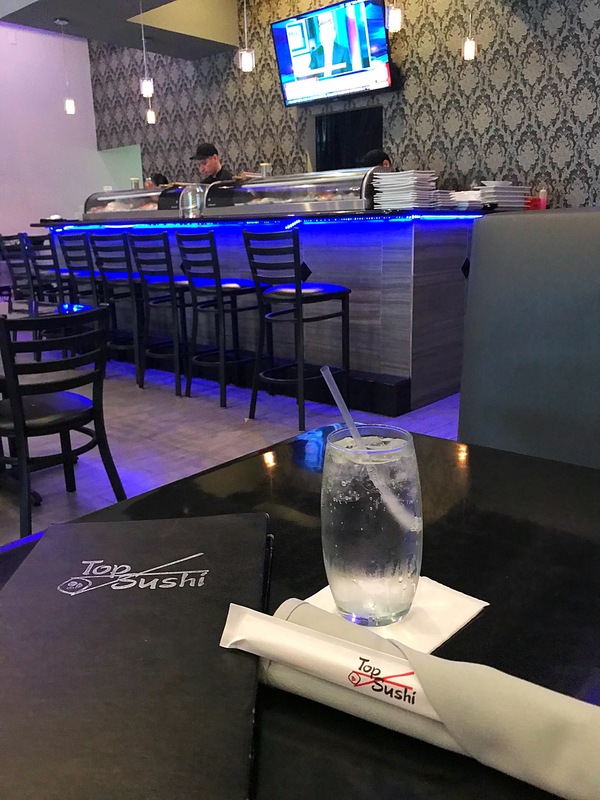 Top Sushi is located near our home. One day I was out running errands and I stumbled upon this place. 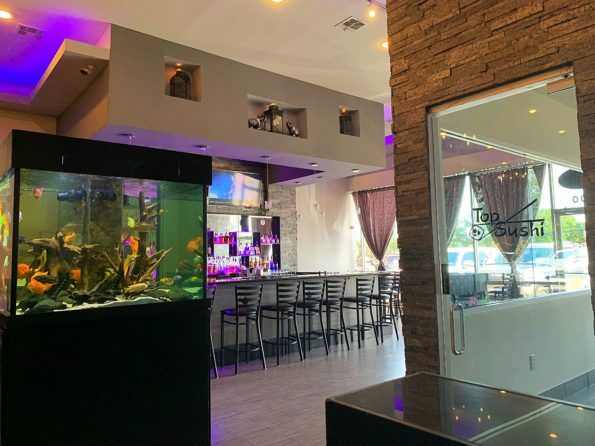 Top Sushi is a Japanese and sushi restaurant that serves an array of complex and delicious flavors for all the sushi lovers. 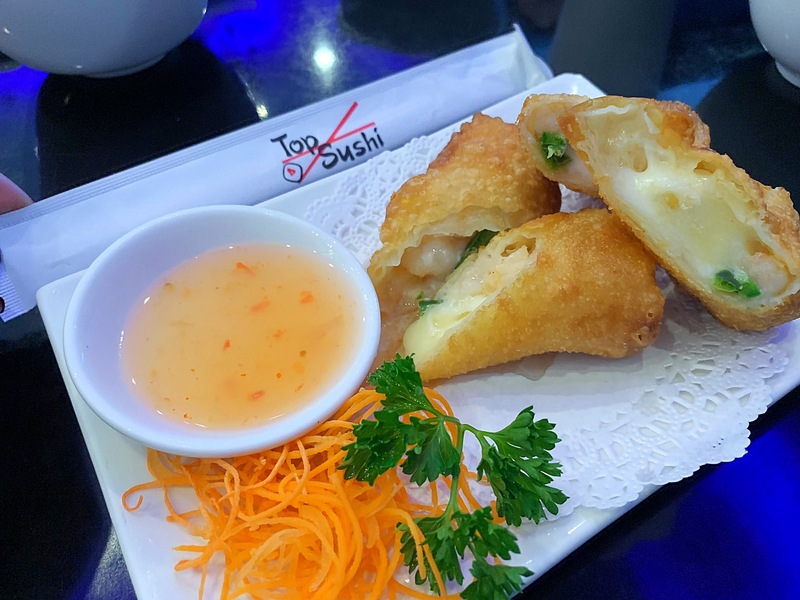 The dishes are made with the freshest ingredients. The restaurant was beautiful. I love the accent wall near the sushi bar. 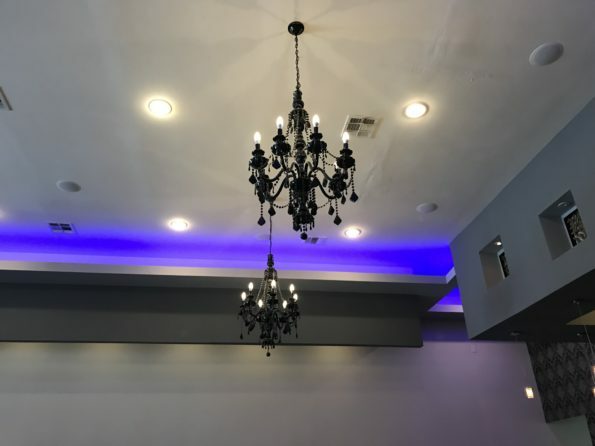 The black tables, chairs and Chandeliers were a simple choice but added a nice touch. 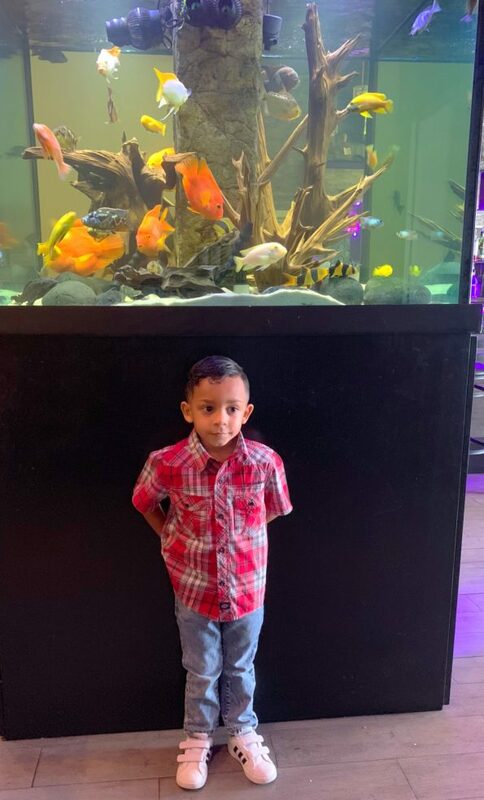 As you walk in you immediately noticed the colorful fish tank. Top Sushi is the perfect spot for a casual lunch or an elegant date night. 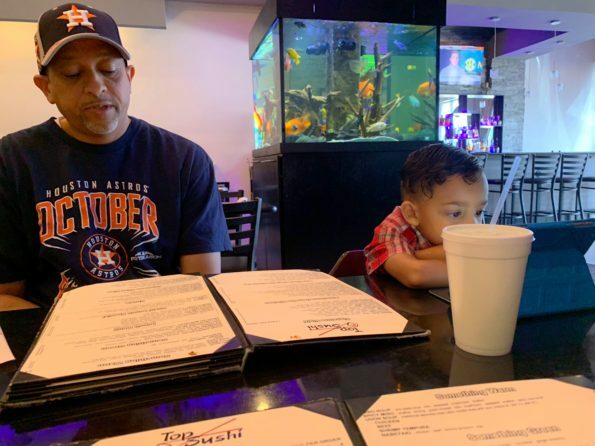 I dined on two occasions, one alone for a quick lunch and with my favorite guys, my hubby and baby boy. First up the Jalapeño Poppers, fried jalapeños, crabmeat, cream cheese and spicy mayo. I loved this appetizer. Nicely presented with a big kick of spice. So good! 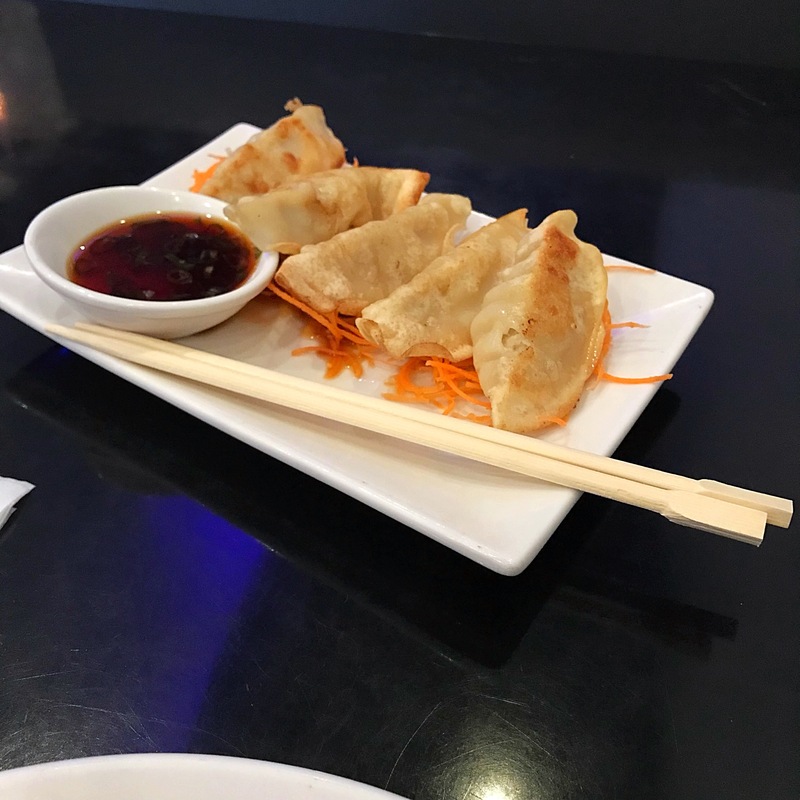 Yaki Goza is a dumpling that is filled with chicken, vegetables, wonton that is pan fried with ponzu sauce. The dumplings were delicious. I loved that the dumplings were evenly filled. Delicious. Edamame is a fave of my little guy. 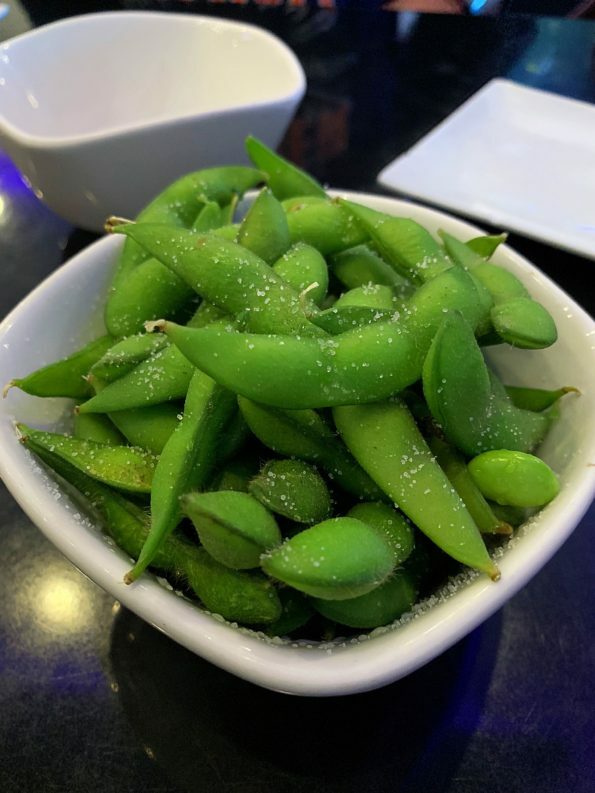 Simply prepared, steamed soybeans with a little salt. He loves it. The Crab Puffs sort of reminded me of an adult version of cheese sticks. Consisted of crab meat, cream cheese, wonton, sweet & sour sauce. Really good appetizer. The Fried Rice at Top Sushi is amazing. 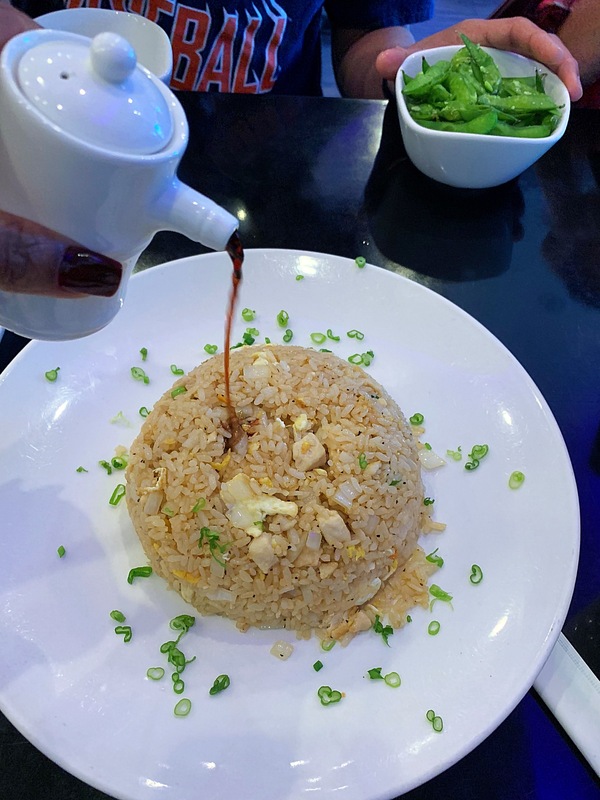 Made to order Chicken Fried Rice. A Japanese style fried rice with chicken and vegetables. So yummy. I couldn’t stop eating this rice. Served pipping hot made with the freshest ingredients. 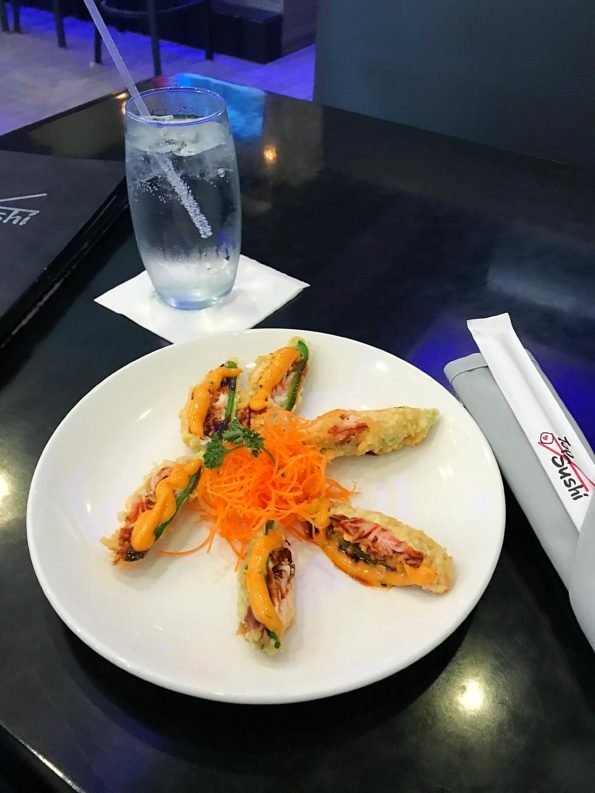 We couldn’t go to a Sushi spot without trying a few rolls. So my hubby and I ordered the Big Boy Country Roll. The Fried chicken, cream cheese, avocado, topped with crunch, unagi sauce, Japanese mayo. The roll was huge. Hard to eat in one bite. But I loved the ingredients of this roll. 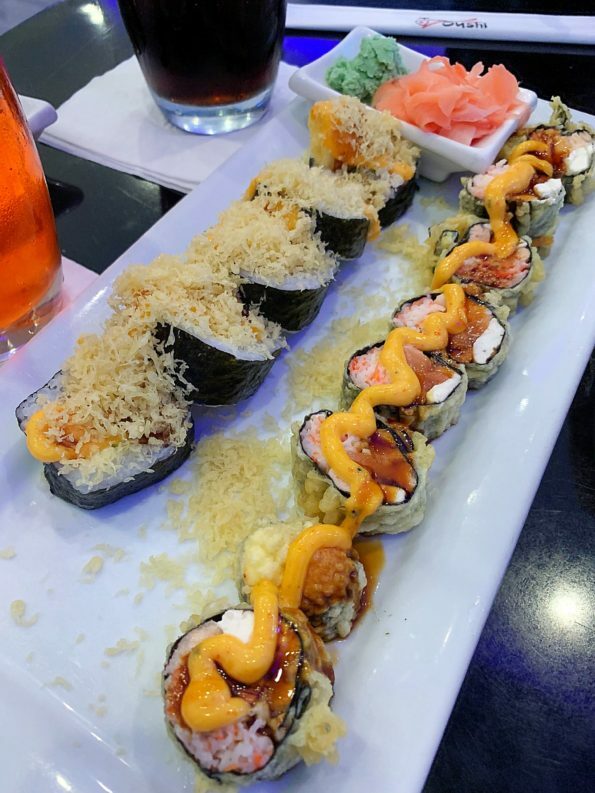 The Viva Las Vegas Roll is made with crab mix, salmon, cream cheese, flash fried, unagi sauce, spicy mayo. Delicious. An amazing roll. Overall, the food at Top Sushi was amazing. Everything made to perfection. The dishes were created with flavors that work well together and all made to order. The restaurant decor was classy. 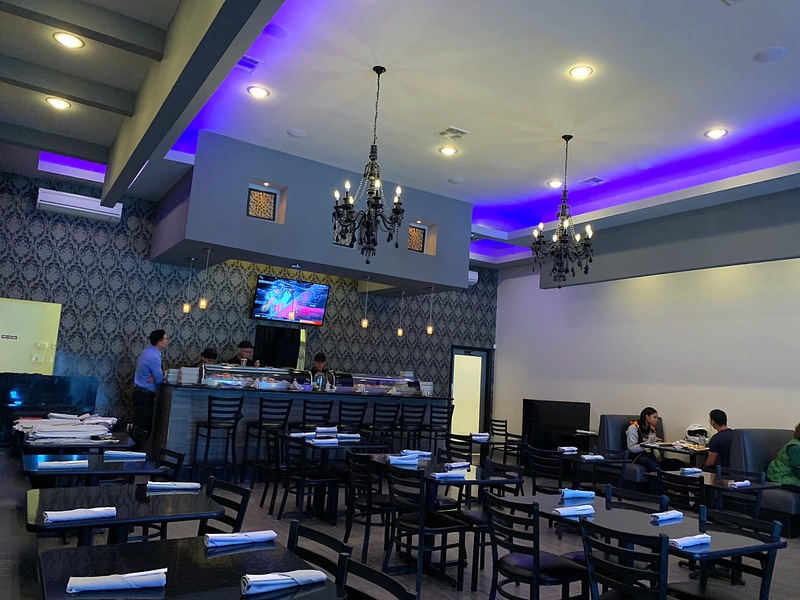 Perfect spot to hang out with your girls, for a date night or a quick lunch. The service was average. 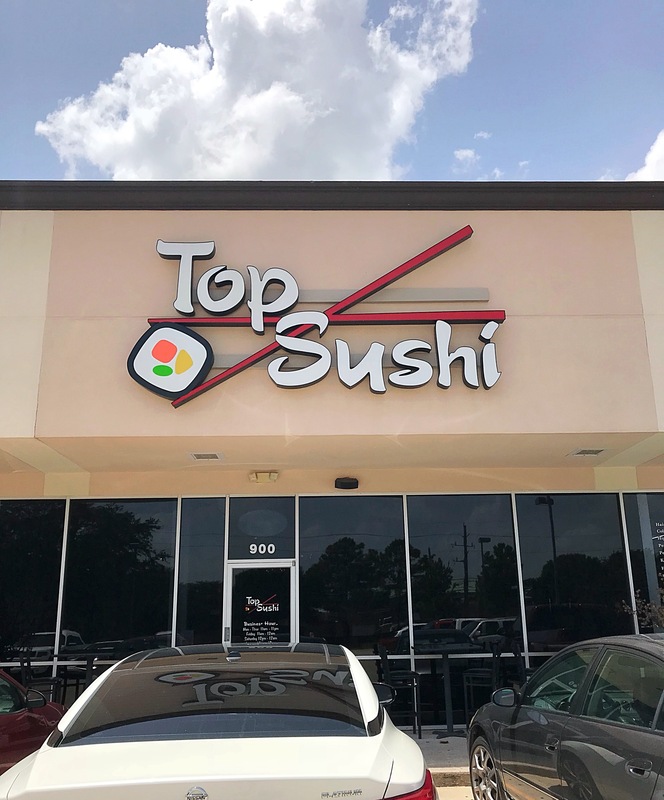 Top Sushi is located at 7751 Barker Cypress Rd #900, Cypress, TX 77433. The Hours of Operation are Monday – Thursday 11:00 a.m. – 11:00 p.m., Friday 11:00 a.m. – 12:00 midnight, Saturday 12:00 noon – 12:00 midnight and Sunday 12:00 p.m. – 10:00 p.m.
Go check them out and be sure o tell them that the Da’Stylish Foodie sent you!